It has long been a Bluemay policy only to use virgin raw materials in the production of our engineering mouldings, to ensure that our high standards of product quality are never compromised by the use of reground material. All raw materials are sourced from select polymer suppliers, with whom we have built long-standing and successful relationships, and we maintain high stocks of many materials to ensure swift response to customer needs. 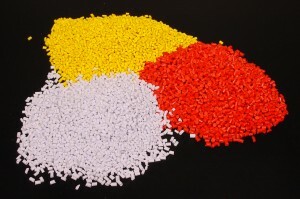 Less common materials are available very quickly from approved suppliers. We also process conductive and VO rated materials as well as those with UV additives, and are experienced with colour matching. Telephone our technical Sales Team on 01380 821811 to discuss your requirements.